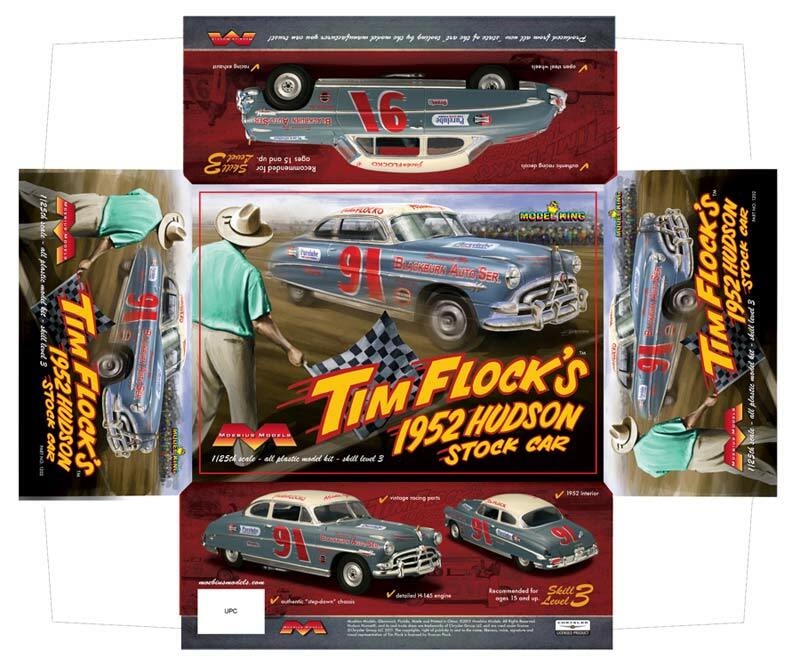 The second box art project I did for Moebius Models was this special edition kit for Model King of the 1952 Tim Flock stock car. Above is the Illustration I created for the box. 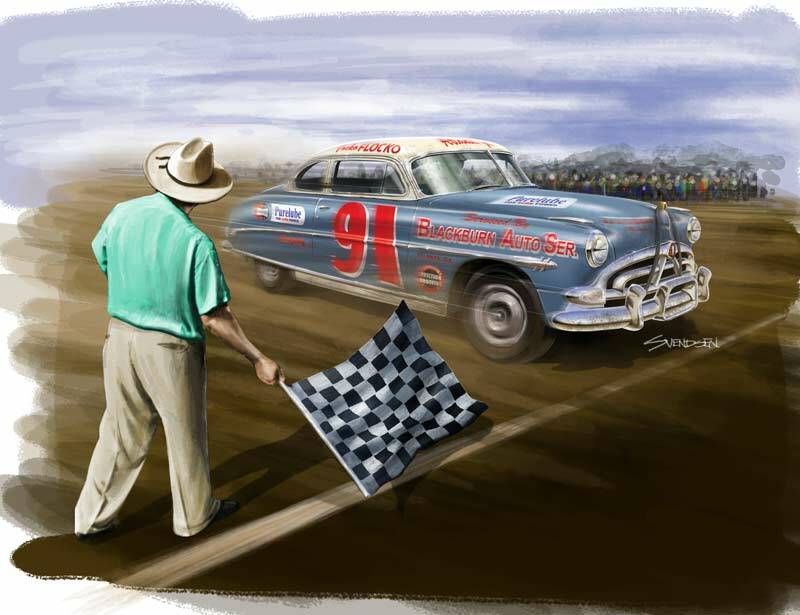 This was "painted" by hand in Photoshop CS5 using a stylus and a Wacom monitor. 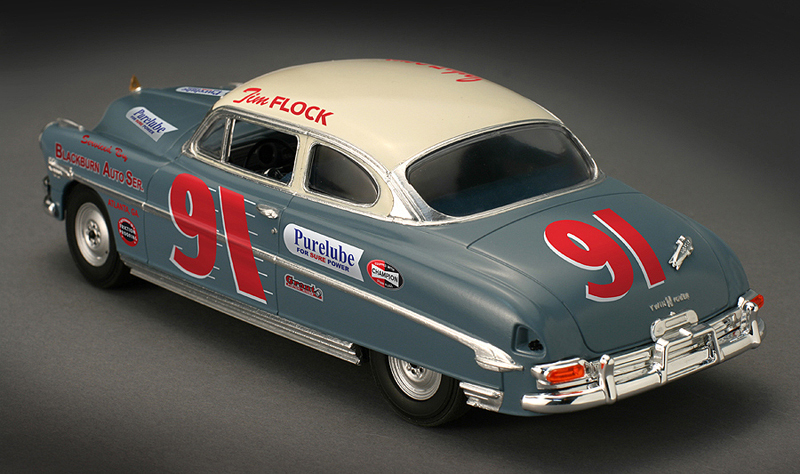 I also created all the artwork for the packaging including the sample model, photography and graphic layout. The final box art is shown flat and unfolded below. Above are pictures of the model I built for the box art photos. My model was built from a 2nd round test shot so it differs slightly from the final production kit which had some final engraving done on the parts. The colors I used were Testors light ivory for the roof and Testors military flat US Navy light blue for the body followed by a clear coat. 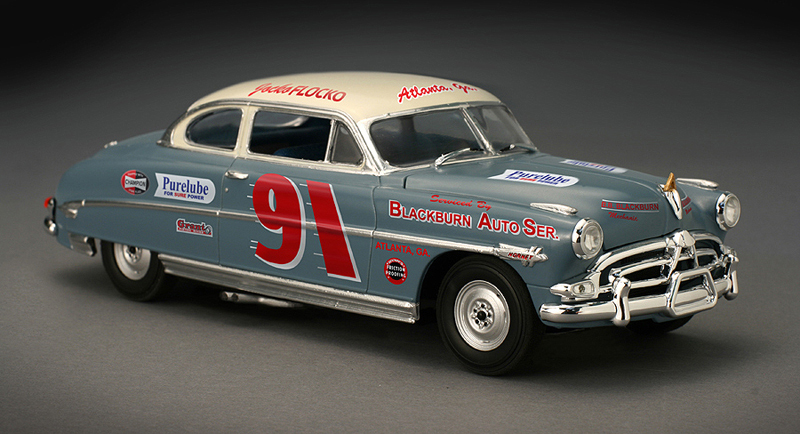 This shade of blue closely matches a 1952 Hudson factory color called "southern blue."